Tantra is a term that is often mentioned but rarely understood. Sadly, there are very few qualified Teachers left in this world who can explain how to enter into, progress on, and complete a qualified Tantric practice. 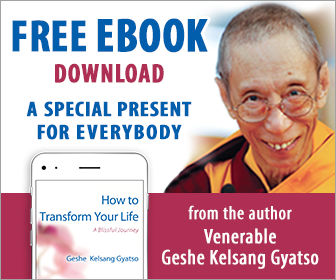 One such Teacher is the contemporary Tantric Master Geshe Kelsang Gyatso. In Tantric Grounds and Paths he gives an explanation of the four classes of Tantra, with special emphasis on the Generation and Completion stages of Highest Yoga Tantra. This book represents a significant milestone in revealing these profound mysteries to the contemporary world. What is an Authentic Tantric Practice? Because living beings have varying inclinations and mental capacities, Buddha Shakyamuni taught three vehicles: the Hinayana, the Paramitayana, and the Vajrayana. To suit those of limited aspiration who are mainly concerned with their own release from suffering, Buddha taught the Hinayana. Hinayanists are very aware of the faults of attachment and regard attachment as their main object to be abandoned. For this reason, the Hinayana is sometimes known as the ‘Separation from Attachment Vehicle’. To abandon attachment temporarily, Hinayanists renounce their families, homes, and so forth, retire to an isolated place, and meditate on unattractiveness; and to abandon attachment completely they meditate on emptiness. For those who are attracted to the vast path, Buddha expounded the Paramitayana, in which he taught the six perfections and the ten Bodhisattva grounds. The main objects to be abandoned by Bodhisattvas are the obstructions to omniscience. Bodhisattvas are not afraid of attachment, because they know how to transform it into the spiritual path. Just as farmers use impure substances such as manure to fertilize their soil, so Superior Bodhisattvas use delusions such as attachment as aids to attaining Buddhahood, having rendered them harmless through the strength of their wisdom and compassion. For those who are attracted to profound Dharma, Buddha taught the third vehicle, the Vajrayana. The Vajrayana, or Secret Mantra Vehicle, is sometimes called the ‘Attachment Vehicle’ because, instead of trying to abandon attachment immediately, practitioners of this vehicle use attachment as an aid to generating spontaneous great bliss, with which they then meditate on emptiness. Furthermore, when they finally attain enlightenment, even though they have no desirous attachment they nevertheless display the aspect of having attachment by appearing as Tantric Buddhas in the aspect of Father and Mother in sexual embrace. Although we can transform attachment into the spiritual path by practising Secret Mantra, we need great skill to be able to do this because normally, when attachment develops strongly, it automatically disturbs our peaceful mind. The main reason why most Buddhas will not expound Secret Mantra is that there is a danger that unqualified practitioners will use it for the sake of worldly pleasure; and qualified practitioners among disciples are very rare. Buddha Shakyamuni, however, is an exception. Through the power of his previous prayers and special determination, his disciples have special karma to practise Secret Mantra. There is a prophecy that when the Dharma of Buddha Shakyamuni is about to end, the practice of Secret Mantra will briefly flourish very widely in this world, as a candle flame flickers brightly just before it finally burns out. It appears that nowadays there are many books about Tantra, many Teachers teaching Tantra, and many students trying to practise Tantra. However, not all these books and teachings are pure and authentic. Therefore, it is becoming increasingly important to discriminate between authentic Tantric teachings and those that have been mixed with non- Buddhist teachings. We are extremely fortunate to have met the completely pure Tantric teachings that have been passed down from Buddha Shakyamuni through Je Tsongkhapa and many realized Teachers of the New Kadampa Tradition. Je Tsongkhapa, who was an emanation of the Wisdom Buddha Manjushri, clarified many aspects of Tantric practice that had frequently been misunderstood in the past. In particular, he showed how it is possible, and indeed essential, to practise the union of Sutra and Tantra. Before Je Tsongkhapa appeared, many people thought that Secret Mantra and Vinaya moral discipline were contradictory, and that one person could not practise both; but Je Tsongkhapa showed how, rather than being contradictory with the Vinaya, the practice of Secret Mantra is the supremely skillful means for keeping the Vinaya discipline purely. 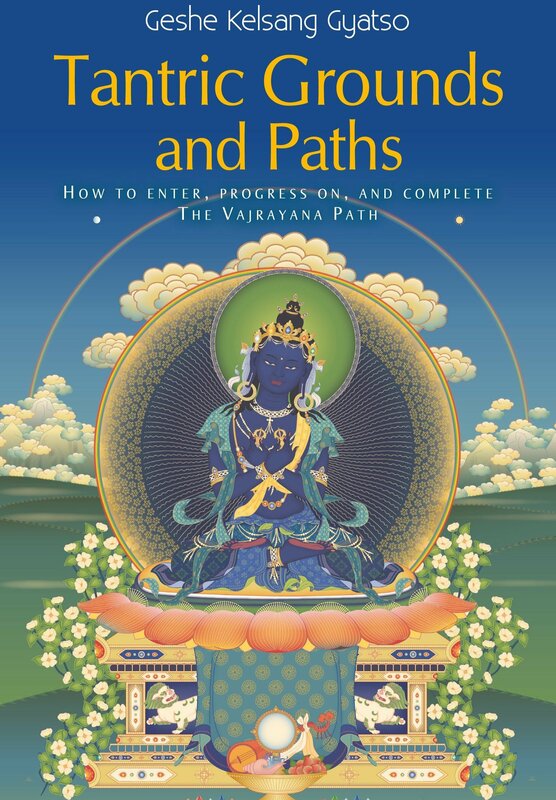 I feel extremely fortunate to be able to pass on the pure Tantric teachings of Je Tsongkhapa, and the reader too should feel fortunate to have the opportunity to study them.